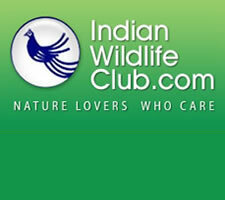 Wildscapes.net is the product store of Indianwildlifeclub.com, the first online nature club of India. Our products which include video CDs, wildlife adventure books and silver bird artefacts (traditional Meenakari Art) can be purchased online through our secure payment gateway. You can write your reviews on the products you have purchased by clicking on the "customer review" link on right hand top corner of each product page. Purchasing products from our store helps sustain the activities of IndianWildlifeClub, the online club for nature lovers who care. Membership of the club is free. Wildscapes.net is home to the work of well known, committed professional photographers from India who specialise in bringing the beauty and wonder of nature. These photographers, though coming from various walks of life, are firstly and foremost naturalists; you will notice the distinct nuances in our images conveying the photographer's passion in his/her photographic style. The website has been designed specifically with potential clients in mind and to facilitate easy access to our vast and growing selection of stunning images from the wild. You can view the gallery of each photographer by clicking on his name. 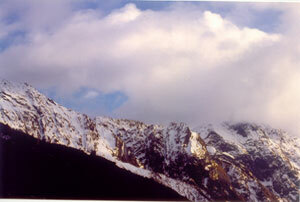 By clicking on the thumbnail you can view the photo in a larger size. The Online photoexhibition is the latest feature we have introduced where we plan to feature photgraphs taken by members of IndianWildlifeClub curated by Dr.Susan Sharma. The specifications for being featured in our online photo exhibition will be communicated through our monthly ezine which goes to all registered users of IndianWildlifeClub.com"
Blue Bird International (India) is the only manufacturers of these Silver Artifacts in the World. Animal shaped assorted chocolates from "The Chocolate Boutique"
Unique Wildlife and Nature themed calenders.